WHEN YOU SAY WISCONSIN... YOU SAY YUM! Great tasting Wisconsin munchies are a sure way to show your caring thoughts. 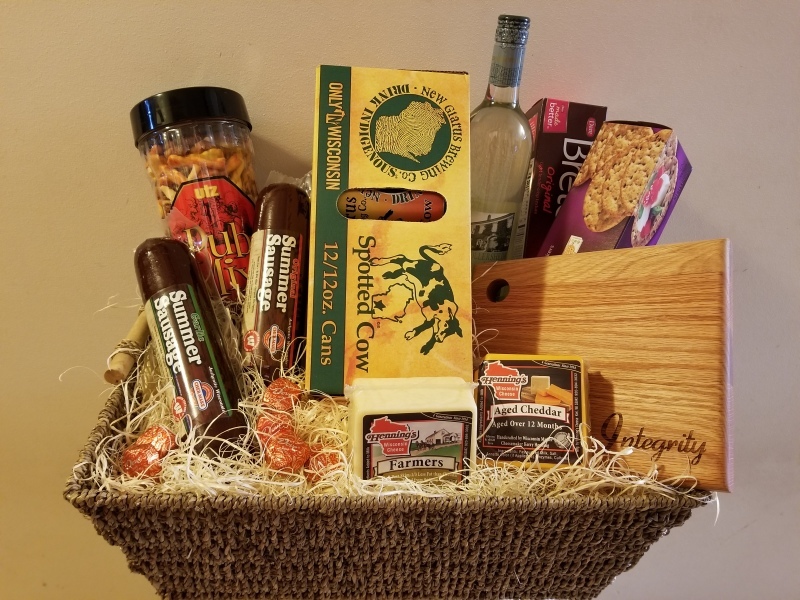 This savory snack basket includes the best the Badger state has to offer in beer, wine, sausage, cheese, crackers, cheese kettle corn and a cutting board, made in Wisconsin, which can be personalized! Be assured it is an ideal gift for all of Life's Celebrations! Our on staff Floral and Gift Design Specialist Laurie is available at ltamblyn@integrityfamilies.net to answer questions and create an enjoyable and lasting gift for you to give your family and friends. It may be called "Mini" but it delivers yum, yum and more yum! This savory snack basket includes the best the Badger state has to offer in sausage, cheese, crackers and cheese kettle corn, just like our Wisconsin Basket, without the beer and wine. Yes! 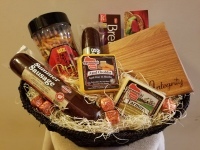 The Mini Wisconsin Basket is a thoughtful gift for all of Life's Celebrations and also includes a cutting board, made in Wisconsin, that can be personalized. Our on staff Floral and Gift Design Specialist Laurie is available at ltamblyn@integrityfamilies.net for questions or to create this enjoyable and lasting gift for you to give to your family and friends. An ideal gift to share scents to relax and comfort. 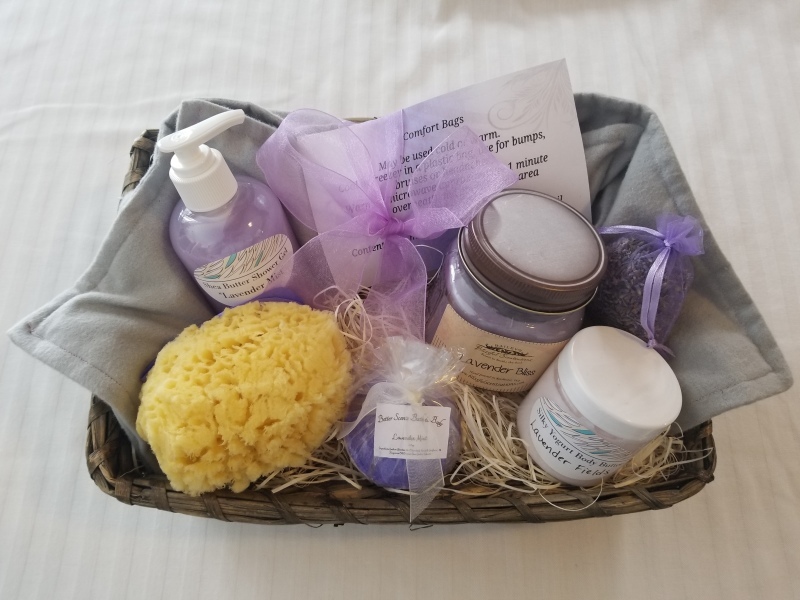 All lavender products are locally sourced and include favorites such as shower gel, a natural sponge, a bath bomb, and body butter to offer a smooth tranquil feeling to the skin. 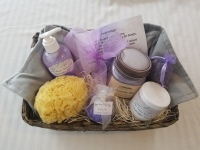 Plus, it can not be a "Comfort Basket" without two lavender comfort bags that are designed to be used either warm or cold. Place them for relief on forehead, neck, shoulders or any area in need of comfort. 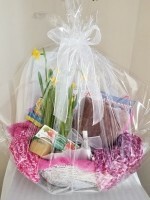 A scented candle, of course lavender, tops off this special gift basket. Questions and orders can be directed to our on staff Floral and Gift Design Specialist Laurie at ltamblyn@integrityfamilies.net. 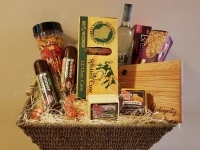 Our Custom Gift Basket can be created with any product, any size, for any occasion! 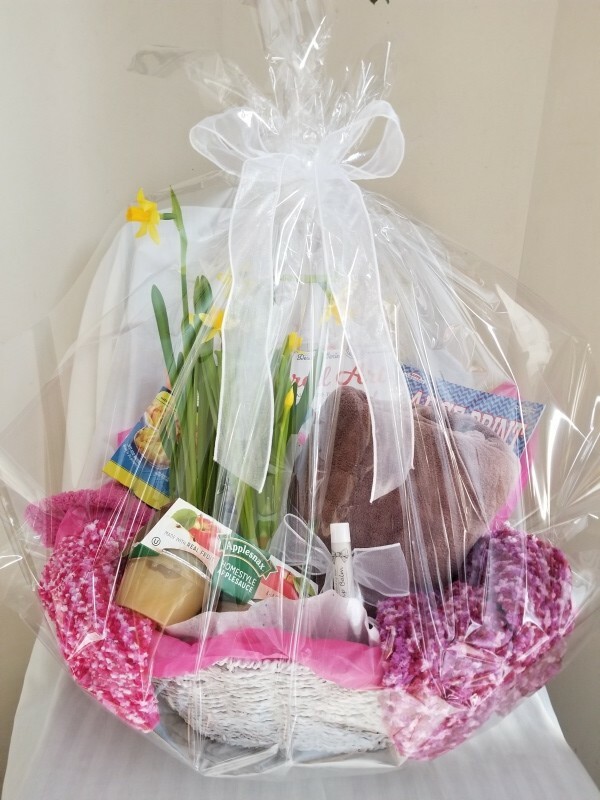 Contact Laurie at ltamblyn@integrityfamilies.net to create a personalized gift basket for the ones you care about.